Set includes 48 loose-leaf sheets (2 pads of 24). 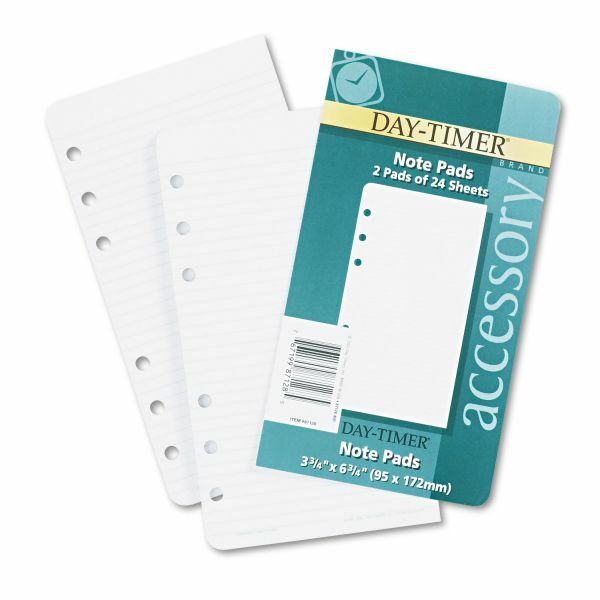 Day-Timer Loose-Leaf Lined Pages, 3 3/4 x 6 3/4 - Add-in sheets for Day-Timer organizers are multipurpose lined pages. Hole-punched to easily slide into Day-Timer binders.